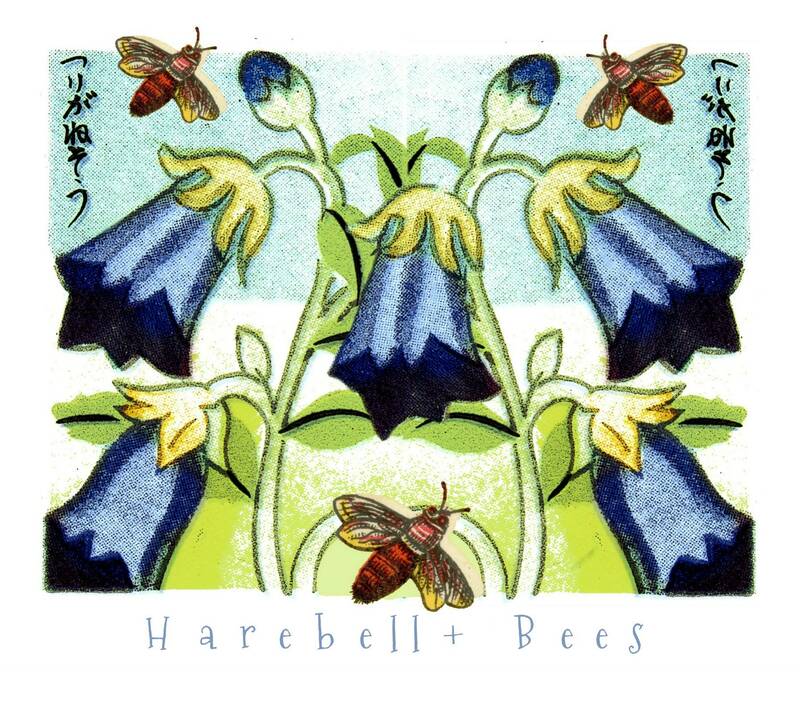 Harebell + Bees. 11 0z. 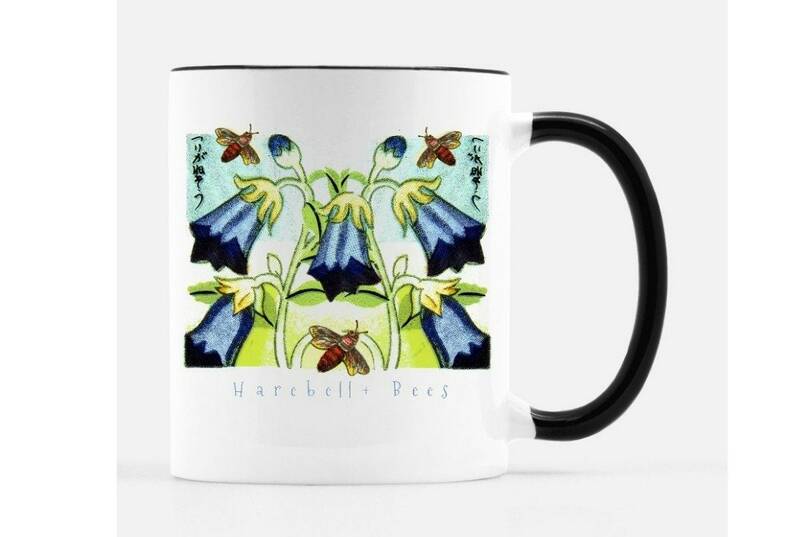 ceramic mug for bee lovers and wildflower lovers. White with black handle and rim. Dishwasher and microwave safe. Made in USA. Digital collage by Liza Cowan, using elements from vintage max box labels. 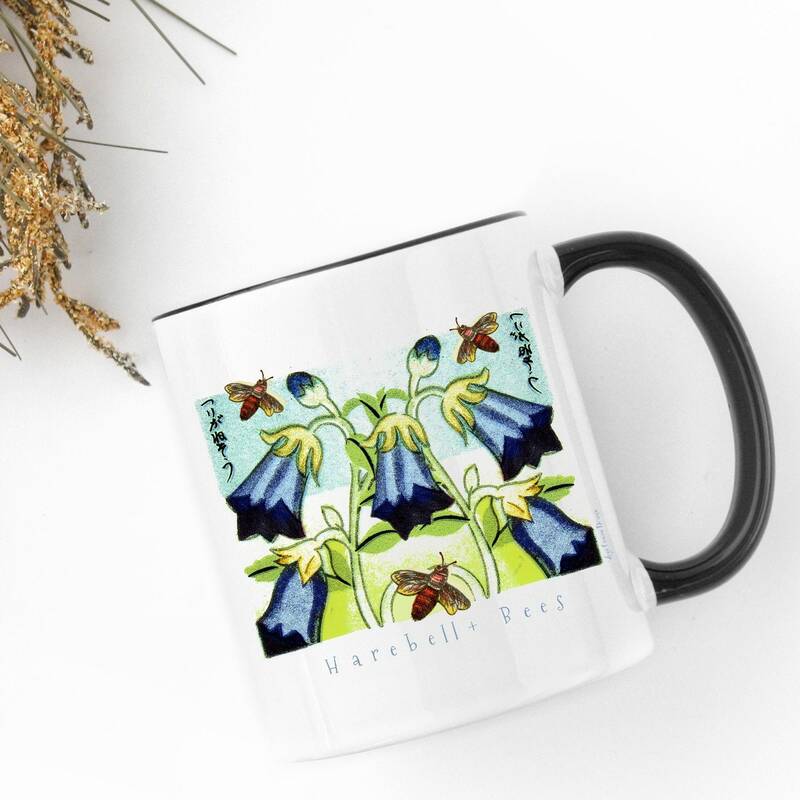 Great gift for anyone who loves flowers or bees.